Translation through a computer programme (e.g. Google Translate). No human intervention. A proofreader (only on rare occasions a professional translator) corrects the most obvious errors and unclear wordings of machine translation. A qualified and professionally trained translator translates the text. A second translator carefully checks the translation of the professional translator. What method is recommended for your text? Alta Verba only delivers translations via methods 3 and 4, depending on your company’s needs. Method 4 is the only way to guarantee the very best quality that you can publish carefree. The other methods risk damaging your company image. 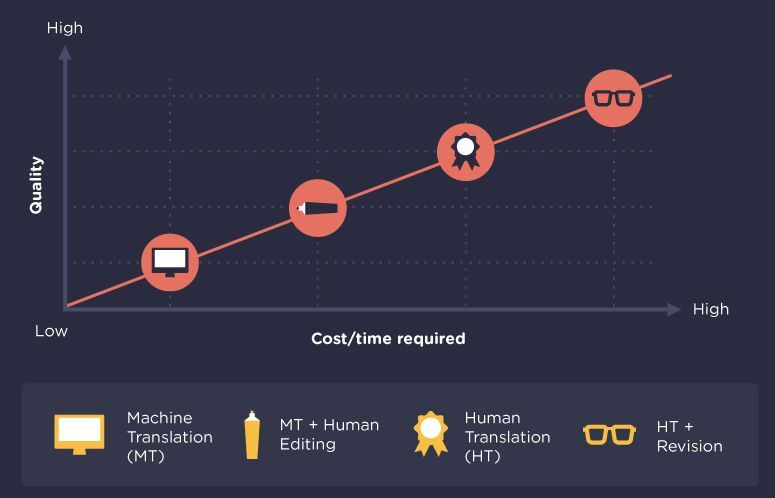 Do not be fooled by the hot air about machine translation, with or without human revision (methods 1 and 2). They only damage your company image.